My Fabulous Mama Maternity and Baby Boutique at 1610 South Street – Now Open! 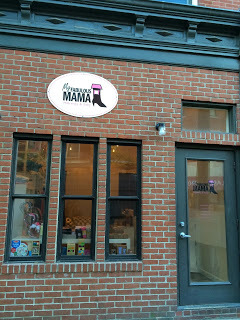 Home/Uncategorized/My Fabulous Mama Maternity and Baby Boutique at 1610 South Street – Now Open! If you’ve been wondering why I haven’t posted to my blog recently (admit it, you’ve been checking back every day with bated breath), it’s because My Fabulous Mama has had another other fabulous project in the works – My Fabulous Mama Maternity and Baby Boutique at 1610 South Street! We are carrying a growing selection of maternity clothes, nursing wear, layette and toys. In January, we’ll be launcing our parenting center in our downstairs space which will be hosting Rhythm Babies music classes every Friday, a weekend/evening lactation support group with Rachel Gazda, a Childcare Q & A workshop, child safety classes and more! We’re opening November 9, 2013 so stop by and check us out!